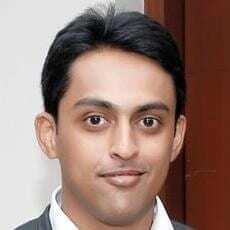 Profile: As well as a large number of certifications, Deepesh has a really interesting background having worked for Microsoft itself, Dynamics partners, and end users, in a variety of countries. Outside direct consulting, he has also been a lecturer in the Masters of Computer Applications department in an Indian university for Visual Basic and Software Engineering, and is a keen blogger – click here to see DynamicsofDynamicsCRM. In his own words: I’ve been working with various versions of CRM starting back with 4.0. I have worked extensively in CRM and with various other Microsoft technologies and so I have a strong expertise around Xrm, CRM, integrating SharePoint with CRM. I’ve also done a lot with Asp.net applications and console applications. My strongest skills are around CRM and integrating it with different systems – I’ve done this many times. I have also worked on data migration systems for huge data sizes. I adapt easily to new technologies. Experience: Almost 5 years Dynamics CRM, 7 years .NET development experience. Projects sought: Ideally, part-time and short-term remote projects. Markets: Preferably Ireland, currently happy to consider remote opportunities in other countries. Availability: Can start immediately if it’s a remote part-time opportunity – otherwise, one month’s notice at least. Other interests: Travel, dance, connect with people, watch movies. I love watching science fiction movies (I am waiting for Avengers: Age of Ultron eagerly). Dancing for me is more of Bollywood dancing and if you have seen Bollywood movies, you will know what I mean. Take a look at Deepesh’s profile and CV on 365 Freelance. Sandra from 365 Freelance: Deepesh, thanks for taking the time to talk to us. The first thing I notice is that you’ve a wide range of experience – for instance, you’ve worked for Microsoft Consulting Services in India; can you tell us about this experience? For instance, how were you engaging with customers? Deepesh: I was with Microsoft Services Global Delivery (MSGD) close to two and a half years and it was a great and varied experience. MSGD is an extension to Microsoft Consulting Services (MCS). MSGD in India works with firms around the world (particularly the US, EU, and Latin America) so the work was often in different geographies, in different kinds of industries and verticals, doing lots of different kinds of roles. I started by developing .NET systems around CRM (as I was initially from a .NET background) for the US public sector, doing many different kinds of projects in a short period of time. This developed into working with 5 different verticals and 9 projects – I even worked with the Microsoft internal reusable assets for Dynamics CRM Services team (I cannot reveal too much on this but it was very interesting!). But the key is that not only did I gain a lot of experience in a short time, but also when working with Microsoft, it’s easy to get access to the information you need to really drive forwards, so it has made me far more confident in my abilities than I think would have been otherwise. One other interesting aspect about this time was that every project given to me had at least one new technology element – and by new, I mean not only new to me but new for the market. In these cases, when problems come up, you are on your own trying to find a solution because in some cases there was not yet any documentation if the element was a beta version. This experience removes any fears I might have had regarding any new stack of technology to work on, which is a great help when I have to ramp-up quickly on a new technology. Sandra: Were you working on local projects or on offshore operations? Deepesh: I was mainly working offshore from India for companies based in the USA, the EU Latin America and Australia; and travelled to Seattle and San Francisco for requirements gathering, deployments and trainings. I’d interact with customers in day-to-day meetings being called upon if customers needed specific technical expertise. I also often covered functional-related questions and took conference calls. Sandra: How do those projects differ from the projects you have worked on at SanDisk and Storm? Deepesh: I joined SanDisk because at MSGD, I was working with lots of other firms’ IT teams and realised that I next wanted to actually be part of an external IT team. My role at SanDisk was a mix of managing teams, managing internal team members along with contract employees. Also, I was responsible for developing a few projects on my own as an Individual contributor along with some administrative work. It was very different from my experience at MSGD – a lot more emphasis more on doing the thing rather than explaining how it could be done. This taught me a lot about how to interact with different types of teams. Coming over to the Irish market and Storm, it’s much more into consulting. I really like the consulting part and want to grow more and more into customer-facing roles. The thing I love about consulting is you get to understand the wider picture, so can advise your customers what’s best for them rather than just build a solution in isolation. This contextual view is important if you want to be successful in the consulting world. Sandra: The second really noticeable thing on your profile is that you’ve an impressive array of certifications. How useful are they in doing your job? How important do you think they are to hiring firms looking for someone? Deepesh: Like many consultants I hadn’t really taken certifications that seriously, but I realised their importance when I joined MSGD. They can be the difference between getting a job and not getting it – some major clients and partners rate your individual competency mainly based on the certifications you carry before they even look at your experience. I can’t stress how very important this is when working with Dynamics partners and customers. On day-to-day basis, Certifications do help you get quickly up to an intermediate level. The training certainly gives you the basics of technologies like CRM. It’s a very good way to learn. After that you need to build up experience. Sandra: Microsoft have recently revamped the Direct Learning Portal (DLP) for Dynamics consultants who work for partners. If 365Freelance could provide access to Microsoft learning resources, how would that help independent contractors registered with us? Deepesh: Access to learning resources on 365 Freelance will definitely help contractors to get into the CRM space, to get accredited and to find jobs. It will also help existing contractors who are working with smaller projects as they don’t have access to much material, and help them build experience / technical expertise. Sandra: What is the perception of CRM Online in the Irish market? Does the Ireland-based CRM Onine data centre make it easier for clients to agree to external data storage? Deepesh: In Ireland, it depends on the vertical we’re working with: some, like banking, financial and government often don’t seem comfortable enough with the Cloud yet. Some verticals like retail and smaller stock-agents tend to use CRM a lot and are ok with moving to the Cloud. I still see a bit of reticence but there’s a huge push from Microsoft so I believe in time it will happen. In India, people don’t want to keep big IT infrastructures in place so Cloud is an attractive alternative to this. Indian businesses are growing fast and being created at a great rate, so one advantage is that many don’t have a large infrastructure in place – this means it is easier to move towards an online offering because they don’t need to migrate everything or write off expensive equipment. In the USA, many firms are very comfortable with CRM Online as they understand the Cloud slightly better than people do in the EU, in my experience. Sandra: You’ve done a range of things – what is your ideal role? Deepesh: I’d like continue to deliver as a CRM architect, have a full-on technical role and develop towards becoming an Enterprise architect at some point soon. It’s an important goal for me in the coming years to have a customer-facing role on enterprise scale implementations. Working in the same geography as the client helps a lot, so ideally it would be an architect role, face to face on site. That’s my ideal role, but of course I can also build a team in my capacity of technical architect because I have extensive experience in training people in CRM and ramping up new consultants. Deepesh: I’ve followed you since launch. I’m glad you address the need for easier recruitment, as a need always comes because of a problem – in the Dynamics market, a big constraint is that there is a shortage of experienced people, so it is great to have a service like 365Freelance that provides a way for customers and consultants to connect and interact. It’s very innovative and I think it can help with shortage of resources – a win-win for everybody involved. Sandra: Thank you, Deepesh! It is great pleasure getting your wide view of Microsoft and the partner channel in a range of territories.